With unpredictable weather patterns resulting in monsoon-like storms and as warming seas swell, swallowing shorelines, more and more folks find themselves underwater or sinking fast. We’re not the first animals to find ourselves suddenly living the life aquatic. Unlike us, ants have been dealing with flooding for thousands of years, and they’ve evolved a few behaviors to help them stay high and dry. 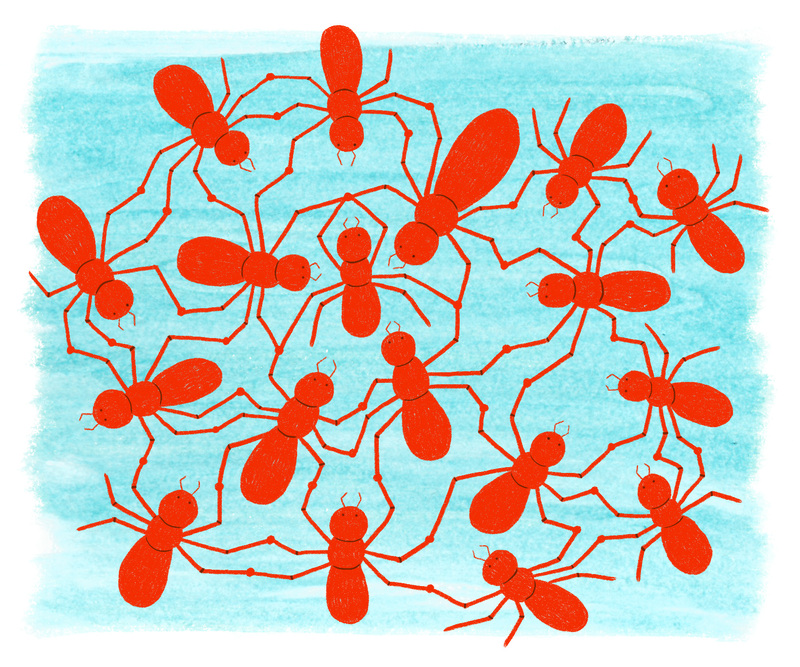 Here are the top five techniques ants use to keep the water out. 5. Divide and conquer. In Argentinean flood plains, anybody who wants to stick around needs to get creative to deal with constant rising and receding waters. While many species wipe out in the wet, a little extra irrigation never bothers Argentine ants (Linepithema humile). They just move. Some ant species spend years constructing their nests, with intricate hallways and networks of tunnels. Not Argentine ants. They’re the hobos of the ant world and will pop their tent under any available rock or leaf. Not enough space? They’ll split up and make two nests, three nests, four or more. When waters rise, they pack up mama and the babies and wagon train it on up to higher ground. 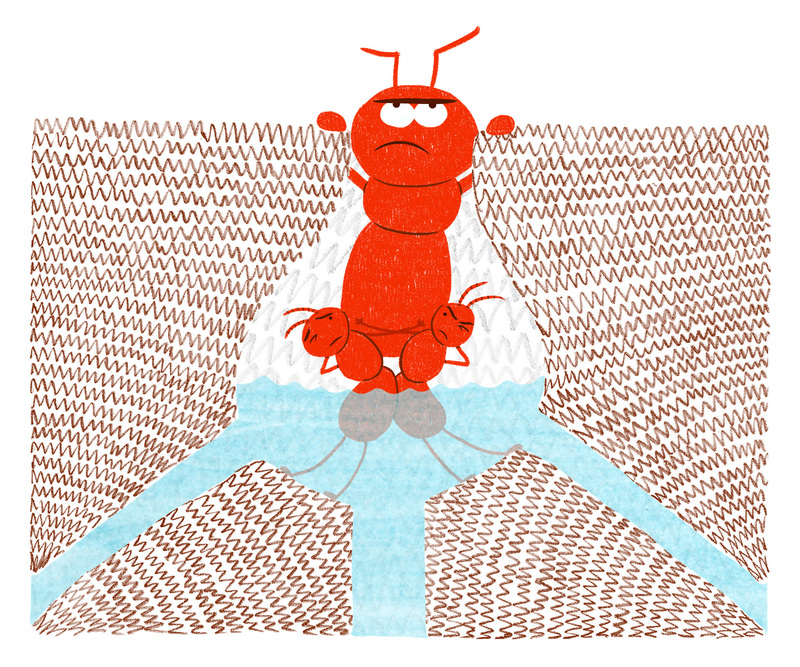 When a colony of fire ants gets dropped in water it spreads out flat across the water’s surface like a pancake. 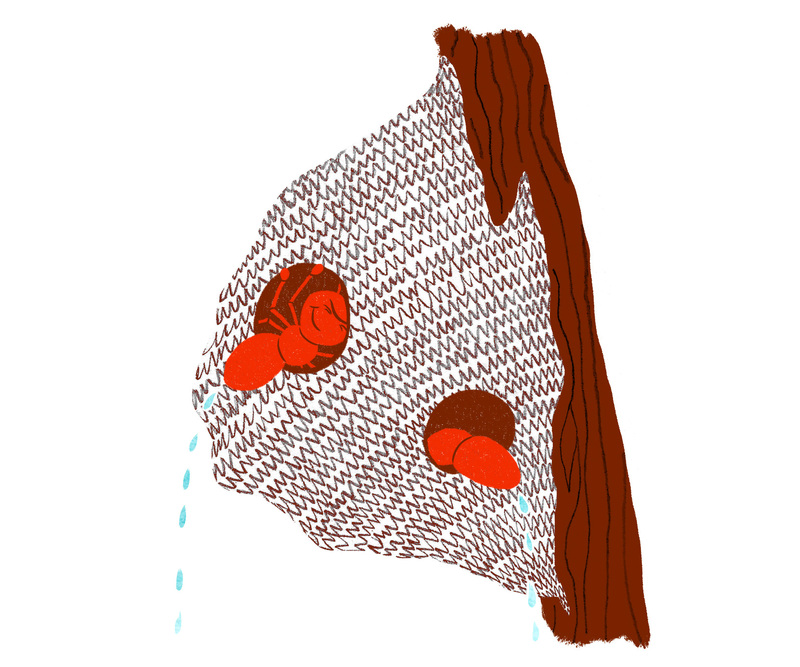 A bottom layer of workers grab on to each other with their feet and mouthparts, weaving their bodies into a pattern similar to the weave in man-made waterproof fabric. The grip between these sisters is so strong it would be the human equivalent of a man dangling about 24 Volkswagen Beetles from the roof of a building. The rest of the colony wanders around on their living raft, floating along until they hit dry land. Ants on the bottom layer don’t drown because they form air bubbles around their waxy skins that help them to breathe and stay afloat. These living rafts can move like a fluid and instead of getting snagged on branches these rafts engulf obstacles and keep on keepin’ on. 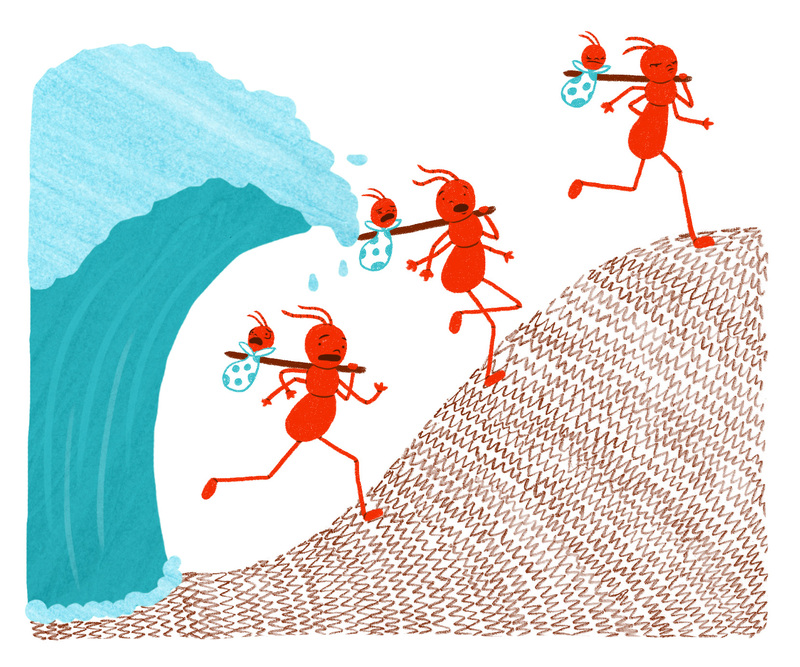 Fire ant colonies can survive for months adrift, surfing around until they hit dry land, where they unload everybody, sun dry and make a new home. 3. Bail it out. Ah, rainforests. Species-lush wonderlands. With plenty of rain. 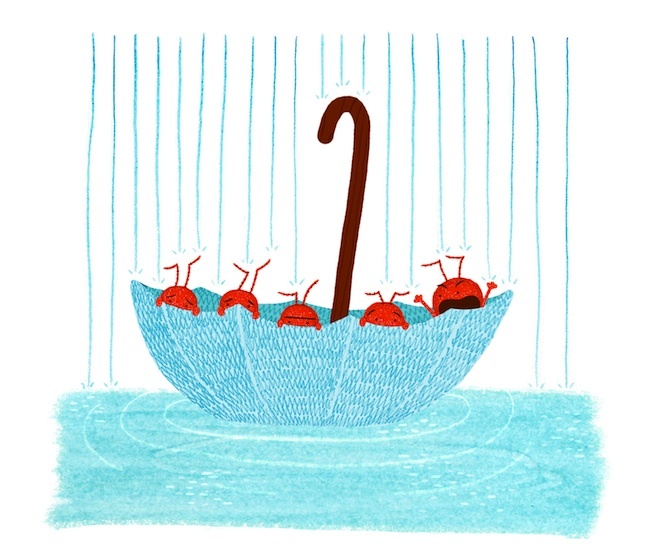 While rain keeps rainforests flourishing, raindrops can terrorize tiny animals living in trees. Imagine you’re a happy little ant wandering around a tree trunk, when all of a sudden Indiana Jones-like boulders of water come rocketing down from the sky at you. Not cool. To make matters worse, some plant ant species, like Cladomyrma spp. and Tetraponera sp. gnaw little chambers into plant stems and set up shop. When the rains come (which, in a rainforest is, like, all the time), a few drops of water can drown the whole colony. But have no fear! Plant ants figured it out. 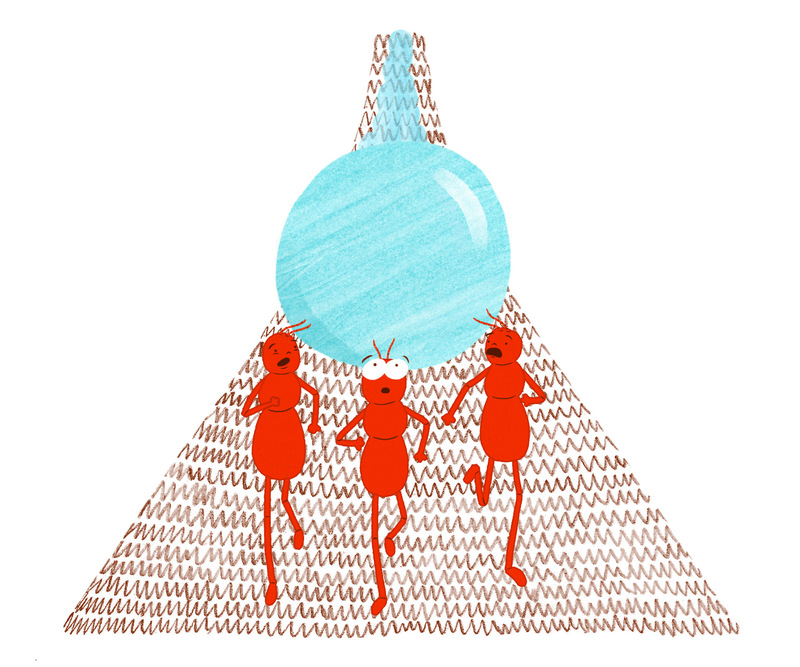 When workers find water pooling around their anty toes (we call ant toes tarsi), they get together and drink it up, filling their stomachs to the max. Then they hang their heads out the nest entrance and spit. 2. Block it, Blockhead. Not to be outdone, some bamboo nesting ants (Cataulacus muticus) have their own way of staying dry. When rains threaten, workers use their big flat heads to block the entrance holes of their nests. 1. Communal peeing. Yep. When bamboo nesting ants’ big blockheads don’t do the job, workers gather around, drink up the offending water, hang their little fannies outside the entrance together, and pee it out. Communal peeing is a real thing. Bamboo nesting ants win, and they do it together. Christine Fleming is an illustrator whose work tends to have a whimsical feel with organic lines, delicate textures, and hidden details. She is currently writing and illustrating her first children’s book. You can see more of her work on her website, and follow her @might_could. 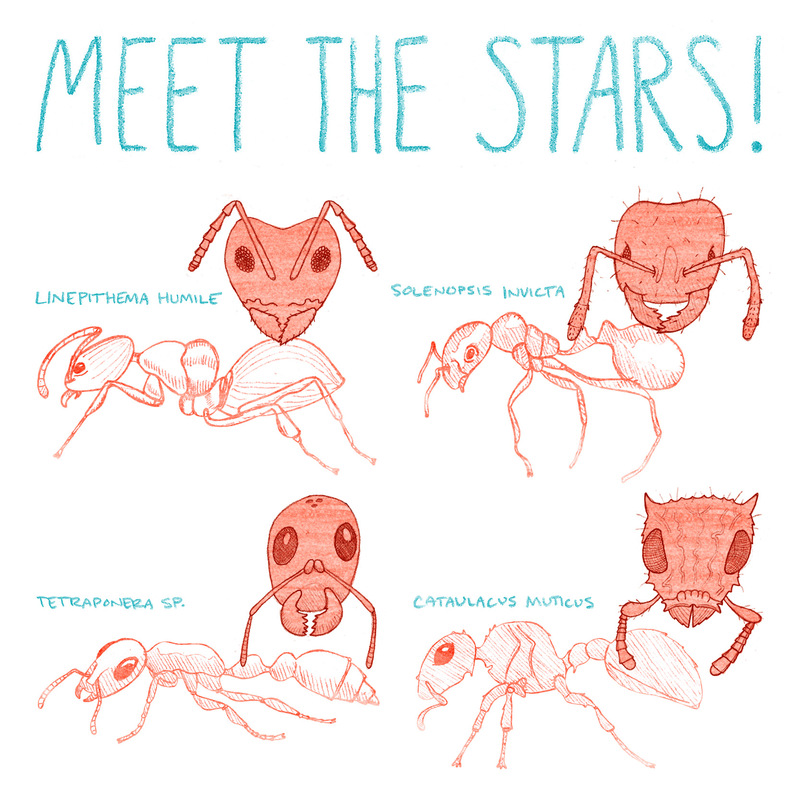 Dr. Eleanor Spicer Rice is an entomologist with a knack for telling good stories, especially about the secret lives of her favorite insects: the ANTS! She’s the author of the NEW (free!) eBook, Dr. Eleanor’s Book of Common Ants of New York City and is the ROAR in the graphics-driven science blog, Buzz Hoot Roar. Follow her @Verdant Eleanor. Dr. Eleanor Spicer Rice loves all insects, but is particularly fascinated by ants. She studied the behavior and interactions of two invasive ant species, the Argentine ant and the Asian needle ant, to earn her Ph.D. in Entomology from North Carolina State University. Ever since she was a little girl exploring the swamps and woods around her hometown of Goldsboro, NC, Eleanor has had a boundless curiosity for the natural world. When she’s not turning over logs and or poking at the cob-webby corners of her basement in pursuit of a six-legged critter, Dr. Eleanor is sharing her passion about entomology through her writing. She’s the author of Dr. Eleanor’s Book of Common Ants and is the “Roar” in the science-art blog Buzz Hoot Roar. Follow her on Twitter at @verdanteleanor.